In recent years, a health-conscious boom has been increasingly popular and people tend to even prevent sickness by using food efficacy. People now seek foods not only for simply eating but for something extra or additional value as “Positive effect”. Thus, the following “Medicinal effects of garlic” are proven nowadays. It assumes that those effects would be (1) lowering of cholesterol, (2) lowering of blood pressure, (3) prevention of arteriosclerosis, (4) prevention of cardiac arrest, (5) prevention of carcinogenesis, (6) bactericidal effect, (7) antioxidant effect, (8) prevention of blood clot, (9) lowering of blood glucose level, (10) antidotal effect of organic phosphorus, (11) effect on menopausal symptom, (12) effect on life-prolonging action, and (13) suppression on brain atrophy and enhancement of learning ability. 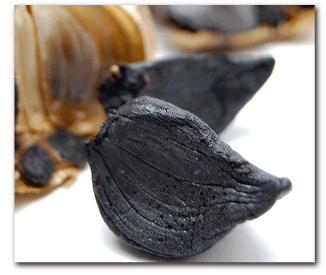 Particularly, black garlic contains a component called “S-Allyl-L-cysteine” 8 times higher than ordinary garlic. It means that “S-Allyl-L-cysteine” is a component extensively holding the above-mentioned efficacies. In addition, garlic also contains certain components to activate NK cells which can destroy cancer cells. It is said that anticancer drugs in cancer treatment may attack both cancer cells and normal cells simultaneously. However, the components of black garlic contribute to prevent cancer without adverse effect due to the activation of NK cells solely. Black garlic from Matsuyama Herb Farm is one of the supreme products pursuing tastiness through its original production method in every respect. Only garlic produced in our farm can be used as the product ingredient. Since the garlic is grown in rich natural environment at the base of Mt. Hakkodasan, the taste of “Black garlic” is excellent due to being produced by secure/safe indigenous garlic from Aomori prefecture with using agricultural chemicals as little as possible. In our farm, bountiful soil at the base of Mt. Hakkodasan and natural mineral water pumped from 400 meters below ground around the mountain are used for garlic cultivation. Because soil preparation is absolutely important for garlic cultivation, fully-matured compost is made and scattered to the garlic field as 4-5 tons per 10a. The farm uses its original fully-matured compost which is made in the farm by maturing horse dung from the neighboring horse riding club and cow dung from the neighboring ranch of Hakkoda beef (shorthorn) for 2-3 years, and then mixing rice hull and fallen leaves with them. Our farm’s garlic thoroughly stores nutrients under the accumulated snow (2-3m in height) for 4.5 months from December to mid April due to plateau region. Garlic harvested from the end of June to the beginning of July is dried for 3-4 weeks, then only carefully-selected garlic from the harvested garlic can be brought in garlic-maturing chamber for another 3-4 weeks as a process of fermentation/maturation. Finally, it reaches to a completion of black garlic as a product. Since the garlic is stored in the exclusive refrigerator, we can produce and supply delicious black garlic throughout the year. You can eat the garlic as it is for snack by peeling the skin. You may want to eat the garlic deliciously by cooling it in the refrigerator to your liking. Even eating 1-2 pieces everyday, it will significantly contribute to maintain a good health or prevent sickness. There are various ways of usage for garlic paste. Because the paste is made only by black garlic, please use it with your unique usage ideas such as ingredient for cooking/sweets or seasoning.  Copyright ©2014 blackgarlic.jp All Rights Reserved.